001. This week has been a goodun'. For a change I achieved alot of things I wanted to uni wise and work wise. As well as did some socialising with IRL friends! Score. Probably because I haven't been blogging much. I feel so behind with peoples blogs. Really need to get reading posts! 002. For someone whos *ahem* into fashion and *ahem* a totes classy girl I really like uber tacky things. Think ala Jordan and The only was is Essex. I love bright pink fake nails (especially small perfectly square ones!) and massive fake eyelashes and I'm totally obsessed with blingy things. I bought this semi ridiculous blinged up iphone cover. After some googling I now want one of these AMAZING covers. I was directed on twitter to these Les Tai Tai ones as well as their DIY kits. NEED. 003. 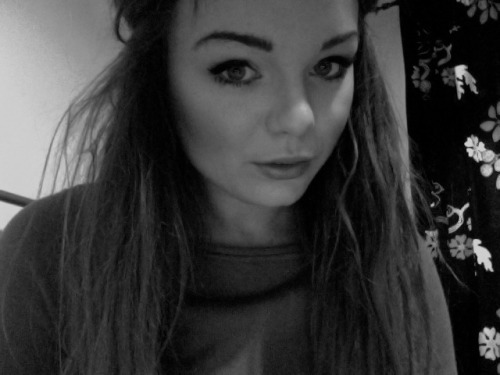 Im in love with my new Mac, My coat that is. Not the makeup or the computery place. I wanted to have a new spring/summer jacket and after seeing Carrie wearing a similar one. See I get inspired by bloggers too! I dont know if they still have that one she has, But this New Look one was the one I went for! I've worn it practically every day since I bought it, despite the epic winds were having in the UK at the moment. Its just the right fit and style I like, and super flattering. 004. Got paid Monday, ALOT more than I thought I'd be getting so I figured instead of waste the money on 10 dresses from Primark Id buy something expensive and pretty. I'm tossing between a YSL arty ring (probably a Blue one) or Vivienne Westwood shoes (but I'll wait for a 20% code!) I came to the conclusion that I'm a adult and I should be able to buy an expensive treat for myself and not regret it. Although the idea of parting with that cash makes me die inside! I totally agree with buying expensive things once in while, I've got things that were pricey but last forever. Part of the reason I want an iPhone is just so I can have an amazing case! They don't do very many for the phone I have. Definitely the arty ring, didn't know they did black and gold, total love! Totally loving those vivienne westwood shoes, they sell them in a local boutique and i have been eyeing them up for a while! I definitely recommend you buy the shoes, I've heard from several people the ring is of poor quality... The coat is wonderful and you're beautiful! That mac is gorgeousss! And love those tacky iphne covers, I must get myself one! I have the mac in cream except mine has a conventional belt instead of a tie belt, which I would have prefered! Love that mac, they're really good for windy weather too! I always feel awkward when I buy expensive things but at the end of the day you earn your money and shouldn't hesitate! hope you can bear to choose between the two! i love them both. I think everyone has a tacky side... It's good to embrace it once in a while. YSL arty ring all the way!!! I want one soo bad. I think I may go for a khaki one. I like your coat! Oooh! I want that case for iPhone 3! Love it! 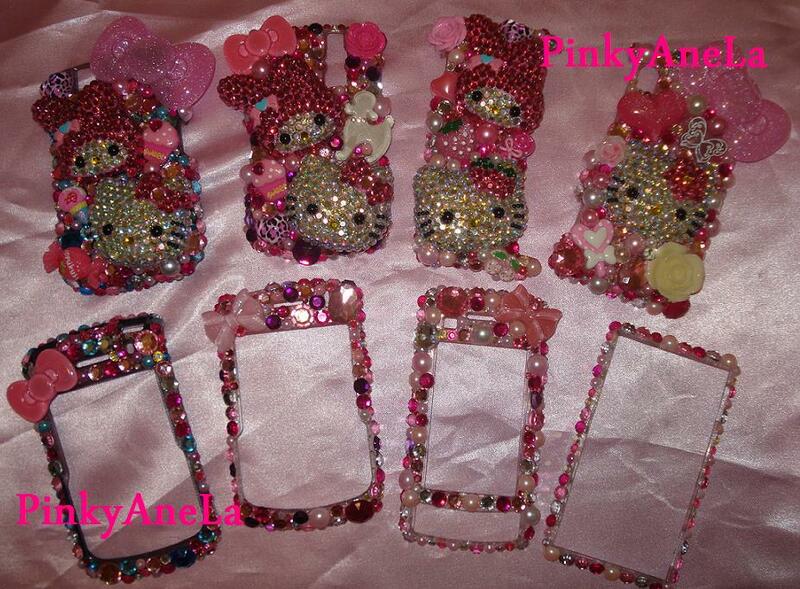 I have a hidden love for tack pink phone covers too! Your so pretty! Haha I have a guilty pleasure for things like that, you should see my blackberry case - completely blinged out in gems, zebra print! lol to the tacky things, i guess they only become uber tacky when all things tacky are bought together in one big tacky overloaded mess. i really love your pink nails anyway, i think they're cute. oh and how i'd love an arty ring, i want one for my bday from the boy but i doubt it'll happen! guess ill have to do the same and buy one myself! i 100% reccomend you get an YSL arty ring! they are definatly worth the money and so so gorgeous AND can be worn all year and you get loads of compliments from it too haha! a man (ikr, a man?!) told me yesterday that my ring was 'very magical' and that he 'loved it, ooh so sparkley) (yeah.. he was very camp) LOL! I love those tacky cases so much and have always wanted one. I think yours is just the perfect amount of bling, HK ones you linked too are amazing but I couldn't imagine myself actually buying one! I'm glad you had a good week! It's nice to feel you have acheived something! I reckon get a ysl ring! They are so cool. I just got some old Vivienne Westwood shoes for my shop! Too small for me though! If you're gonna get any, you should so go for the ring, it's gorgeous! i was wondering when your sunday post would be up. i don't usually comment a lot, but those shoes made me lol, please get the ring. ahh well it is up to you. i do love the ring though, i really want one. and one day i may treat my self too. i have just ordered some cases for my ipod and blackberry, i was going to get a diamanté for my bb but i could just see all the stone bits coming off. so i went for minimalistic, plain and boring. i'm glad your week's been good. Love the VW shoes but I think if it was me I'd choose the ring! ASOS do 20% student discount you know!! I actually like the Vivienne Westwood shoes more than the arty ring, haha! I love the iPhone cases, I really want to pimp my iPod Touch out with all cute little decorations like similar to the ones in that DIY kit. ohh get the YSL art ring, they're so pretty! Oh, I can be so into tacky/ridiculous things too, sometimes! I love huge, false eyelashes, hahah. Also, definitely splurge when you feel like it! It doesn't matter whether or not you're an adult, paying more for a cherishable item is totally worth it, I think. And those Viv Westwood shoes are so adorable! gorgeous photo. definitely go for the arty ring, well worth the money and it's not even that expensive considering it's YSL. i feel completly the same about the tack it can be so appealing. Love the phone case haha! and i wish i got a bigger check than i expected this month but unfortunately no..
20% voucher code from where lol? I got 3 pairs of different vivienne westwood for melissa show and they were all deffiently worth the money. I got all mine with the 1st collections she did and have lasted me a good year so far without any problems! I'm on the look out for that style but in tortouise shell that sold out last year! It was definately worth quitting! I probably shouldn't read your sunday portrait posts because I always end up following the blogs you recommend and I follow too many already. Dissertation is telling me to steer away from blog reading for a while but it's not happening! Oh also, I'd say steer away from those vivienne westwood shoes. My friend had a pair with the heart on and it has fallen off and been repaired around 4 times, now they refuse to repair it, even though it's only glued on so it's obviously easily breakable. I love the YSL rings - go for it!! Can't wait to see you what you treat yourself with! And the mac coat that Carrie is dolled up in is darling and so is the one you got from New Look. I have those shoes in black, an ex's xmas present for me - score! lol they are lovely and smell like sweeties xo. I love the feeling when your pay is higher than you were expecting! And the ring and shoes are gorgeous. I think I'd personally got for a pair of shoes in black, they're lovely! I just bought a pair of Vivienne Westwood shoes and it was the best thing I have ever done. This is the first time in my life where I can afford to buy something expensive and as hard as it was to part with the cash they are a really good investment :) It's your money so go ahead and treat yourself is what I say. Those VW shoes are gorgeous, my friend has a high heeled pair and says they are so so comfy. I can't wait to see what you choose. I certainly don't regret splashing on my chanel sunglasses, in fact I wear them so often they are way more cost effective than any primark dress! I just have the same problem. I want to buy something expensive and save up for it, but when it's time and all the money is there, the item is sold out or I just can't bare to pay so much money on just one thing, mostly shoes in my case. I'll buy myself a pair of miu miu's for my prom though. would take the ring, if I were you. That's what i always do now after realising I kept buying cheap stuff and selling it on ebay 2 weeks later. I've got a 15% off asos code if you'd like to use it as i've already done so. It's "springvip" hopefully it still works. I often post new voucher codes on my blog. I've started to buy bigger things now; i have so much random crap! I love a little bit of bling myself too! I always think as long as I keep it on the right side of trashy, then its ok,Ha! Oh I just did a post on me buying an Arty ring today actually, unfort. i had to send mine back, it was totally not what i was expecting it to be, but i still think they look so pretty! hah I totally know what you mean, I've been lusting after those obnoxiously blingy armcandy-esque bags that you find at market stalls, it's tack central!